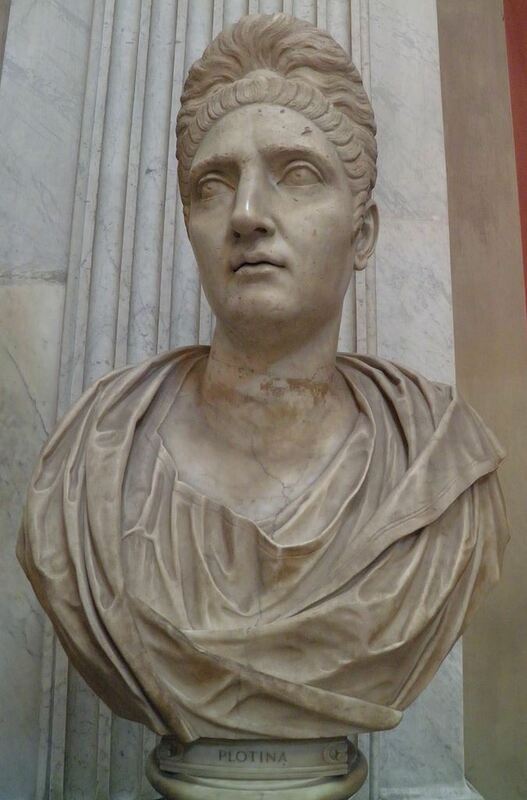 Pompeia Plotina Claudia Phoebe Piso was a Roman Empress and the wife of Roman Emperor Trajan. In 100, Trajan awarded her with title of Augusta, but she did not accept the title until 105. She did not appear on coinage until 112. Plotina was the matchmaker between Hadrian and his future wife Vibia Sabina. Plotina was renowned for her interest in philosophy, and her virtue, dignity and simplicity. She was particularly devoted to the Epicurean philosophical school in Athens, Greece. Through her influence, she provided Romans with fairer taxation, improved education, assisted the poor, and created tolerance in Roman society. When Plotina died of illness, she was deified. Hadrian built a temple in her honor at Nîmes, in Provence.